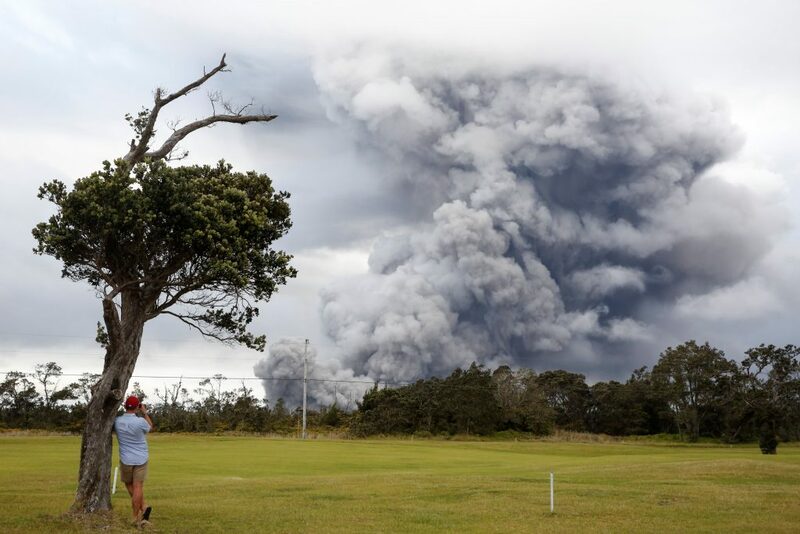 Smog from Hawaii’s Kilauea volcano drifted north up the island chain on Wednesday and communities south of its summit were warned of up to a quarter-inch of ashfall as the nearly two-week eruption showed no sign of easing. On the Big Island, ash fell on southern communities, such as Pahala, 18 miles south of the summit, with cars heading from the area covered in the gray powder. Ash is not poisonous but irritates the nose, eyes and airways. It can make roads slippery, clog drinking water catchment systems common on the island, and cause the failure of electrical power lines in large enough quantities, said USGS chemist David Damby. A looming menace remains the risk of an “explosive eruption” of Kilauea, an event last seen in 1924. Pent-up steam could drive a 20,000-foot ash plume out of the crater and scatter debris, including rocks the size of refrigerators, over 12 miles, the USGS said.